Last week we got into the Valentine's spirit, and this week we are fully celebrating the romance filled day. We fully believe that you don't have to be paired up to celebrate this lovely holiday. You can treat and love yourself just as much as you can another person. So whether you are in a relationship, dating, or just going solo, there's no reason you can't embrace a little Valentine's themed fashion. Starting off with a sweater laced with lots of love. 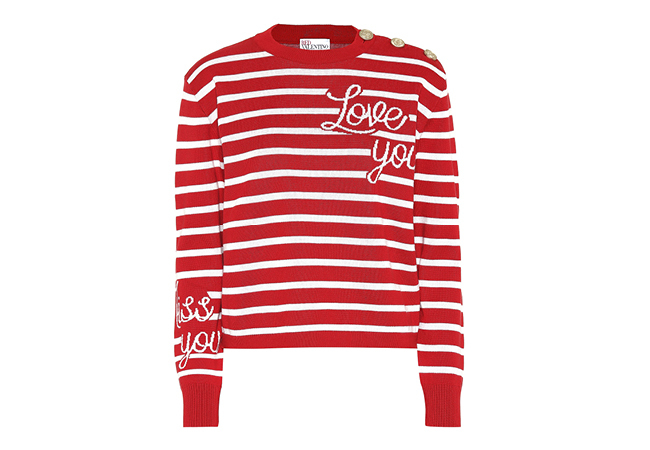 With "Love You" and "Miss You" intarsia motifs on the heart and sleeve, this sweater embodies REDValentino's playful approach to design. A trio of mock button fastenings on the shoulder elevates the nautical vibe emanating from this red-and-white striped style. A cute and cozy sweater calls for comfy and classic denim. Frame's Le Skinny De Jeanne blue jeans are the ultimate closet staple. This latest skinny design comes with distressed details and an uneven "chewed" step hem for contemporary flair. When it came to accessories, it was all about adding extra personality. Starting off with footwear that will stop fellow fashion lovers in their tracks. 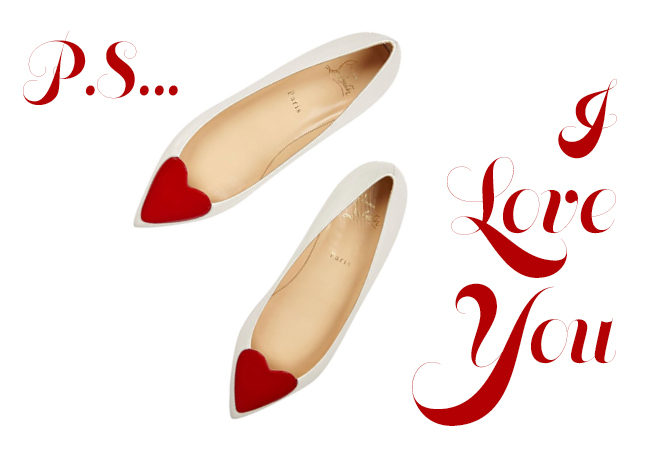 Christian Louboutin's patent-leather 'Corafront' flats are designed with a glossy red heart at the front, lending a playful addition to the look. Our bag of choice instantly reminded us of a box of red hots, which isn't the most traditional Valentine candy but tasty all the same. The 'Marie Jean' bucket bag (also by Louboutin) mirrors its wearer: chic, feminine, versatile and urban. 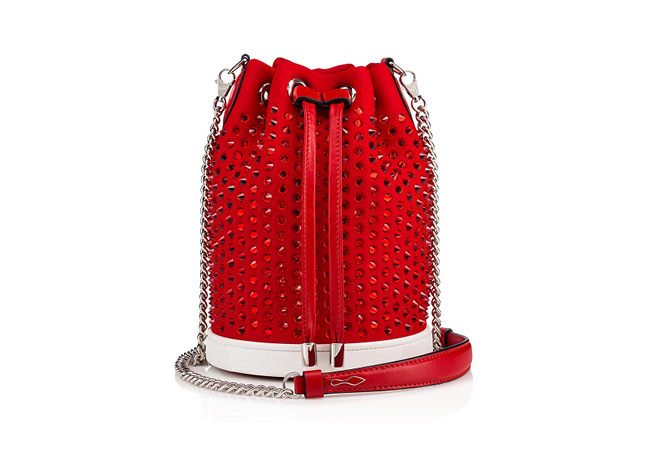 This roomy, stylish design is crafted in Loubi-red neoprene and saturated in red crystal spikes. Next we added a sweet smooch to our ensemble with a little lip service jewelry. 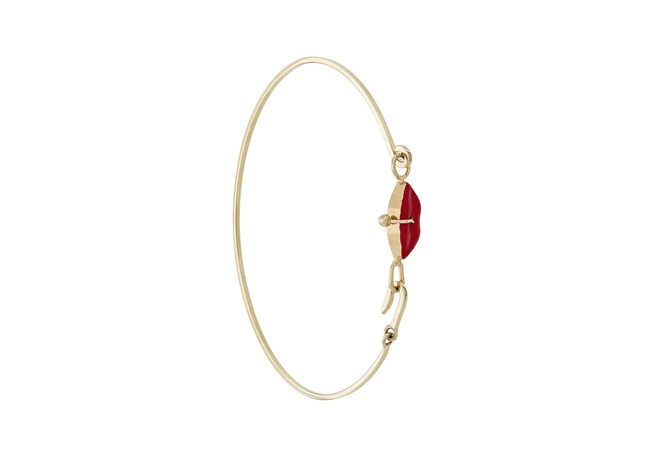 This 9kt yellow gold Grandma Lips bracelet from Delfina Delettrez features a hook fastening and an adorable pair of pierced red enamel lips. A must-have for any V-day look is a bold red pout. 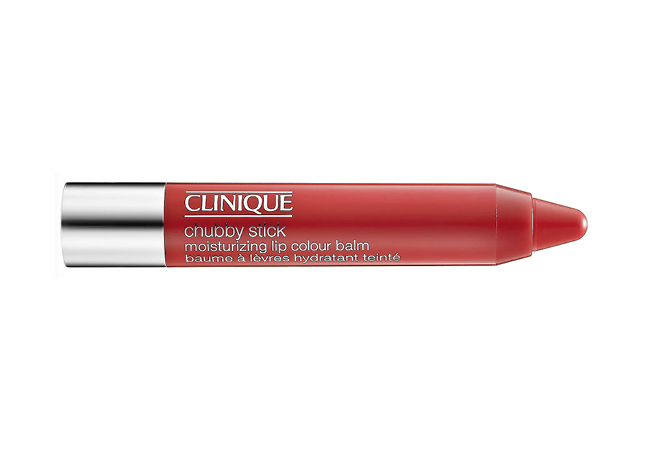 Get vibrant, nourishing color with Clinique’s Crayola Chubby Stick—loaded with mango and shea butters so that lips feel comfortably soft and smooth. This particular shade beautifully ties up our ensemble and gives an extra serge of undeniable glamour. This outfit is a love letter to the universe that great style is always a good reason to celebrate.